This week saw Coopers launch its 15th Vintage Ale, its biggest yet with a bitterness 50 percent higher than any of its predecessors. 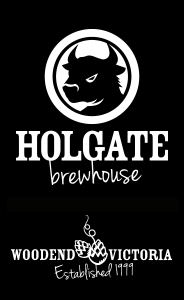 It is also the major sponsor for this weekend's Adelaide Beer & BBQ Festival, was the sponsor for the Craft Beer College and glassware at this year's Great Australasian Beer SpecTAPular in May and will be heavily involved in next month's Bendigo on the Hop festival. It seems clear that as it continues to grow – overall sales up 4.7 percent in the past year – Australia's largest independent brewer is becoming, if anything, more relevant to the country's craft beer industry, even with annual volume that dwarfs that of every small brewing company combined. At the ripe old age of 153, and still producing founder Thomas' original Sparkling Ale, it also recently announced a deal to brew Brooklyn Lager for the draught market locally, while importing and distributing its core packaged range and a small but, in time, growing number of the New Yorkers' specialty beers. So is it a case of an old dog learning new tricks? Or a business continuing to plough its unique furrow surrounded by a young industry that's merely doing what they've done all along, albeit with more bells and whistles? "Clearly, were not a boutique craft brewer," says Cam Pearce, the Adelaide brewer's national sales and marketing director. "I see us as a big brother in the sector. "People in the know recognise that Fat Yak and Little Creatures and James Squire are part of bigger brewing operations but traditional craft brewers are quite happy to have us around. They know that we're not boutique but have credentials and values that have a clear resonance, so it makes sense for us to be there doing these festivals [such as the Adelaide Beer & BBQ Festival]. "We have good craft credentials and have crafted beers. Sparkling Ale is the grandaddy of craft beers and Thomas Cooper was the original craft brewer." And it's there, with a genuine story – probably the greatest of all Australian brewing stories – to tell that they share much in common with the younger, smaller breweries changing the face of beer here today. There is no need to enhance or fabricate tales or legends: they're the survivor that kept brewing ales when all others were swallowed up by the rise of industrial lager brewers. And, as Cam points out, several of Thomas’ descendants were in attendance at the three Vintage Ale launches this week in Adelaide, Sydney and Melbourne, where Mel Cooper (pictured below right) hosted. As for the beer that was being launched (alongside the now very different 2010 for those, like The Crafty Pint, lucky enough to be invited), it's the hoppiest yet, a sign of Coopers' brewing team moving with the times. “People are exposed to higher bitterness levels," says Simon Fahey, Coopers' technical manager who, alongside managing director Dr Tim Cooper, brewing manager Jon Meneses and operations manager Nick Sterenberg, was one of the "Four Amigos" that designed the beer. The defining character of this year's beer is the new Aussie hop Melba, which has only been seen to date in a handful of beers, such as Nail Brewing's Golden IPA. Developed by Ellerslie Hop in Victoria, it was chosen by the foursome as part of their annual "Hop Idol" in which they try a variety of hops they’ve not featured before and vote for their favourite. Melba got the nod, with the team drawn in by its distinct peach and stone fruit characters. Indeed, they were drawn in so much that they added 100kg of Melba to each brew, dwarfing the amounts of Ella, Vic Secret, Cascade and Styrian Goldings also used in the beer. Simon reckons the result is that, once past the aforementioned peach and stone fruit in the fresh beer, drinkers will detect some pine, grassiness and spicy characters too. And, while many will be keen to hold onto the beer a while to let it age and become a "vintage" beer, Simon reckons it's best fresh before the hops have dropped off. “I always think the Vintage is best when it’s released," he says. "For a beer that’s 60 IBU [International Bitterness Units – up from 40 in the past] it doesn’t drink at that level. [With the extra hopping] we thought it should last a bit longer. Increasing the bitterness gives it extra staying power, although we won’t know [if it does] for a while yet." The first was a lager, but since 1999 it’s been a bottle conditioned ale in keeping with Coopers’ traditions. The most recent (the paler of the two pictured) was brewed with 100 percent Australian malt, mostly grown in SA, water drawn from a deep aquifer under the brewery site, their famous ale yeast, which is more than 100 years old, kept in the UK and sent over every six months to be introduced to the beer, and the aforementioned hops. It's hitting the market just ahead of the first Brooklyn beers to be distributed by Coopers and their distribution arm Premium Beverages since Brooklyn made the switch from Palais Imports, the SA importer that introduced the NYC brewery to Australia over the past few years. Cam describes Brooklyn as “a good fit”, offering beers and a brand that don’t compete with any others in their domestic or international portfolio. As to whether the tweaks made to their brewery to allow them to brew Brooklyn Lager to the New Yorkers’ requirements will lead to any new Coopers beers remains to be seen. “We are always looking for opportunities in that regard," says Cam. 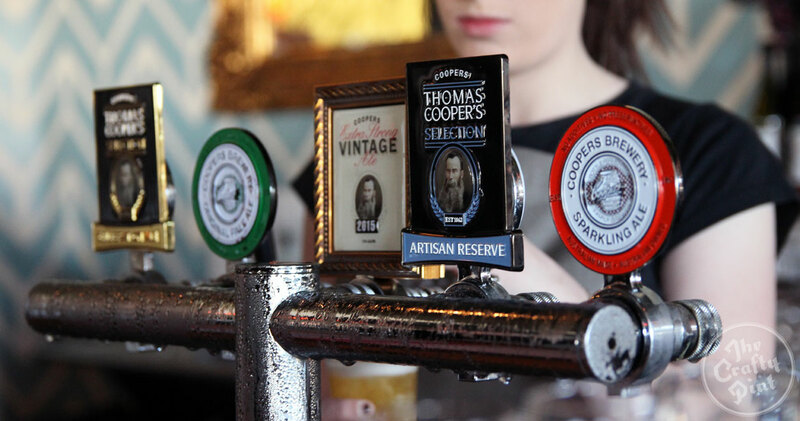 "We’ve got our Thomas Coopers Selection: the Celebration Ale launched in 2012 and the Artisan Reserve Pilsner. 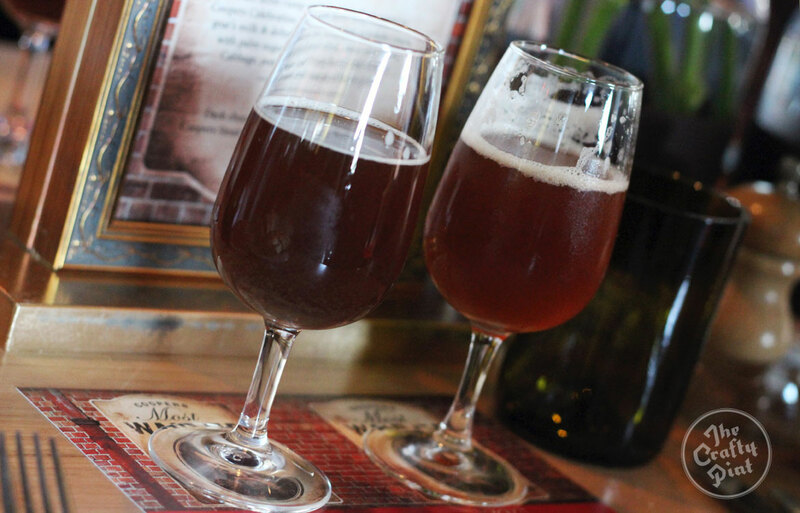 We see the Vintage Ale as part of that as well." In a year that has seen Coopers invest $10 million in upgrades and expansions to its Leabrook site, the local craft beer scene has exploded too. Cam says this rapid change within SA, which celebrates the Adelaide Beer Awards tomorrow night, has been remarkable. Where a few years ago he could drive around the state and see “one brewery in the Barossa and one in Goolwa now there’s 20 or 30 coming up," he says. That's a subject on which his employer is well placed to comment. After more than a century and a half, the same family remains in charge, the brewers still brew the founder's original beer and, while it operates on a different plane to the brewers we usually cover on The Crafty Pint, few would ever question its claim to be the original craft brewer. 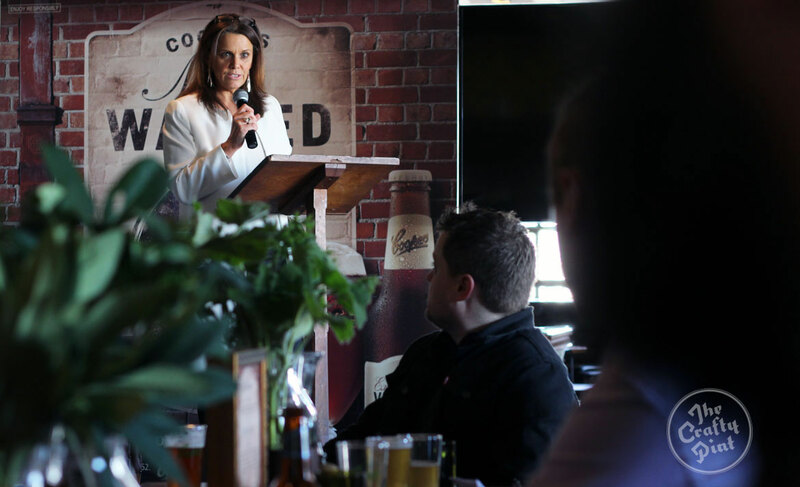 And, as small scale, local brewing with a focus on flavour and integrity grows, it's helping Coopers too by bringing renewed interest into beer as a whole at a time when overall sales are declining. “Where we’re getting growth,” says Cam, “is in premium, craft and mid strength – our Mild is experiencing significant growth." He believes they occupy a unique position in terms of their appeal: Coopers is seen as a “safe haven” for mainstream drinkers looking to try something other than the lagers they usually opt for and also a sessionable alternative for craft beer drinkers looking for a break from bigger beers. “People want to engage with us and learn about us," he says. "As distinct from trying to ram [a story] down their throats, we’re recognised more as an Australian family business. Wise words, no doubt, for the hundreds of small brewers who would love to be the Thomas Coopers of the future.